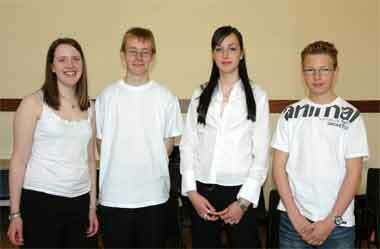 The junior band held it's annual concert and prize giving on Saturday 3rd June 2006. The band put on a wonderful performance to an audience consisting of proud parents, relatives, tutors and senior band members. Only with the time and efforts of the band and it's tutors can a programme like this be staged so congratulations to all involved with the junior band in creating an enjoyable atmosphere where learning can be fun for all concerned. This is reflected in the high membership levels of the band.